Nickerson Company provides a number of pump styles for the HVAC commercial water pump market including end suction pumps, split case pumps, short coupled vertical turbines and both submersible and extended shaft sump pumps. Typical applications would include hot and cold water circulation, cooling towers, sumps, and VFD drive constant pressure systems. We have provided and serviced HVAC pumps and pumping systems for schools, hospitals, and commercial buildings throughout the western states. Price Pump manufactures a wide variety of small specialty pumps including vertical immersion pumps, horizontal centrifugal motor pumps, self-priming pumps and multi stage high pressure pumps in a wide variety of materials for corrosive applications. Price Pumps are widely used in the semiconductor industry. National Pump manufactures virtually every configuration of vertical turbine pumps including line shaft and submersible deep well pumps, short coupled vertical turbine sump and booster pumps, vertical snowmaking pumps and vertical API pumps. National Pump manufactures vertical turbine pump bowls in sizes ranging from 6” to 30”. All National Pump products are available in various materials of construction as required for demanding applications. American Turbine manufactures a wide variety of vertical turbine pumps including line shaft and submersible deep well pumps, short coupled vertical turbine sump and booster pumps. 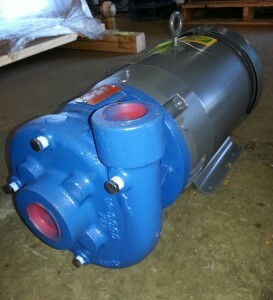 American Turbine manufactures vertical turbine pump bowls in sizes ranging from 6” to 15”. Hydromatic Pump manufactures submersible sump style pumps and self-priming pumps primarily for the waste water and sewage pump markets. They are a leading manufacturer of grinder pumps for pressurized waste water and sewage applications. Hyromatic also manufactures a complete line of submersible pump rail systems, pump electrical control panels and liquid level controls. The U S Electrical Motor division of Nidec manufactures both vertical and horizontal motors specifically designed for the requirements of the pump industry. 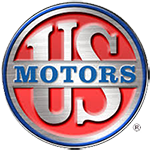 Specialty pump motors manufactured by U S Electric include vertical hollow shaft motors (VHS), vertical solid shaft motors (VSS) and close couple JM or JP frame horizontal close coupled pump motors. Motors are available in a variety of enclosures and electrical configurations with numerous optional features. General Electric manufactures both vertical and horizontal motors specifically designed for the requirements of the pump industry. Specialty pump motors manufactured by GE include vertical hollow shaft motors (VHS) and vertical solid shaft motors (VSS). GE motors are available in a variety of enclosures and electrical configurations with numerous optional features. Cla-Val is the premier manufacturer for a wide variety of automatic control valves for the water industry. Some of the types of valves Cla-Val offers include flow control valves, pressure relief valves (PRV), level control valves, check valves, pump control valves, surge anticipator valves, pressure sustaining valves and air relief valves.